As children are the future of our Church, we are dedicated to supporting families in their spiritual development. The union of the Catholic communities of St. Elizabeth Church, St. Therese Church and St. Mary Church into St. John Bosco Parish creates a wonderful opportunity for Christian growth and renewal in our Faith Formation Program. By utilizing the spaces and combined talent and energy of individuals from all three churches, we can offer one dynamic program, where young people and families find support, inspiration and community. Please completely review individual class schedules for your child's grade range in the sections below prior to completing the registration form found at the bottom of this page. Classes at the elementary school level are scheduled on Monday, Tuesday, or Thursday evenings from 5:00-6:00 PM. Classes meet weekly throughout the school year. 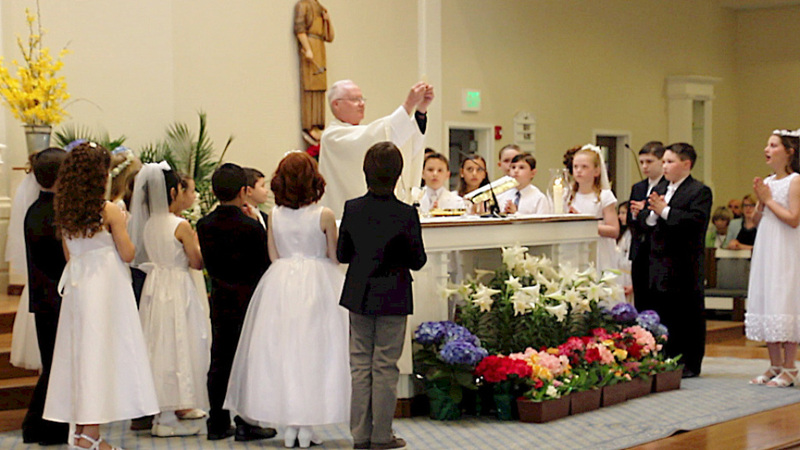 Children are encouraged to also attend Sunday Mass regularly with their families, especially the 3rd Grade students receiving their First Communion. While Faith Formation officially starts in 1st Grade, there are optional classes for Pre-K (Ages 4-5) and Kindergarten students as well. Classes at the middle school level will occur monthly during our program year on Sunday, Monday, or Tuesday evenings from 6:30-8:00 PM. These one-and-a-half hour sessions allow time for instruction, peer discussion and interaction, self-reflection, and service to others. Service projects will be incorporated into the program. The purpose of the Confirmation Program is to inspire our 9th and 10th graders to be courageous and intentional Catholics in today’s world. Classes meet monthly on Sunday evenings from 5:00-7:30 PM. The goal is that our students bring what they learn into the everyday practice of living out their Catholic faith. 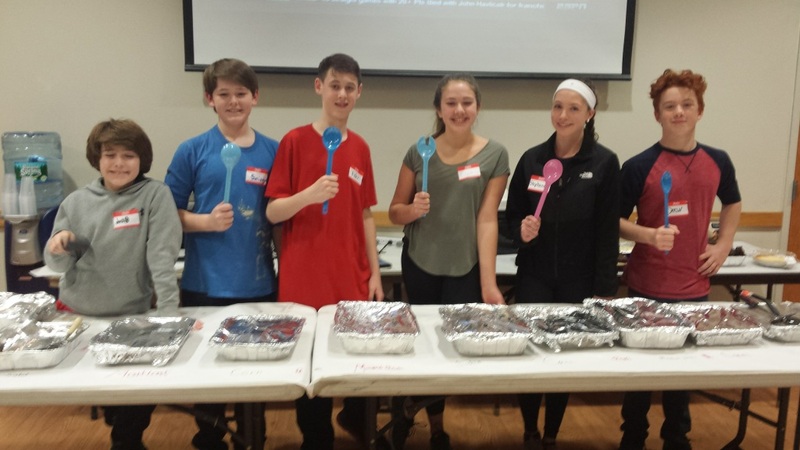 Service projects throughout the year and a youth retreat are key components of our Confirmation Program and wonderful opportunities for growth. Students are confirmed in the spring of 10th grade, after two years of program participation. The final registration deadline for the 2018-2019 St. John Bosco Parish Religious Education Program was NOVEMBER 1ST. Any registration submitted after this date will have to wait until next year. Please contact the Faith Formation Office if you have any questions or concerns. You may register using the Online Registration Form, or download and submit a hard copy of the Registration Form. If you are not a registered parishioner of St. John Bosco Parish, please also fill out or download the Parish Registration Form. The registration fee may be submitted by cash or check to the Faith Formation Office, or you may pay online by going to our Online Giving System portal at https://www.osvonlinegiving.com/473. Choose "Quick Give" (Sign in first if you already have an account) and click on "Faith Formation Registration" from the fund drop-down menu. For Grades Pre-K- 10, the total fee is $75 per child* or $200 family maximum. *For Grade 3, the Sacramental Preparation Fee is an additional $25 per student. *For Grades 9-10, the Sacramental Preparation Fee is an additional $50 per student. Please call the Coordinator of Faith Formation at 203-488-2998 if you would like to make your payments in monthly installments; arrangements must be made with the Coordinator on an individual basis. If the fee presents legitimate and serious hardship for your family, please write a brief letter to the Coordinator to request scholarship assistance and return to the Faith Formation Office. 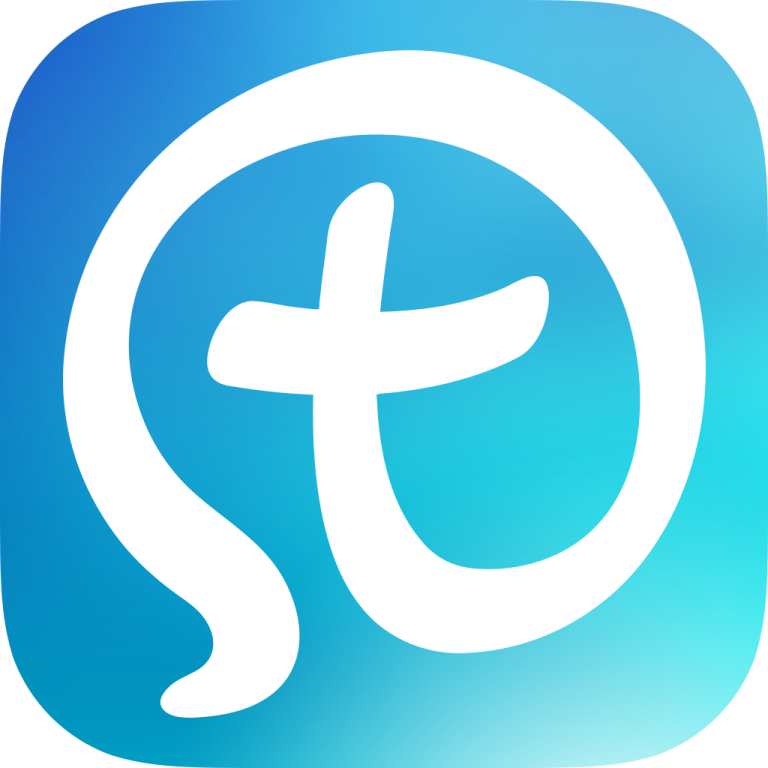 DOWNLOAD OUR PARISH APP -- Please also download the St. John Bosco Parish App, where you can sign up for important Faith Formation notifications (weather cancellations, etc.) sent directly to your phone. Visit http://www.saintjohnboscobranford.org/myparishapp for details and download instructions. Be sure to join the "Faith Formation" and/or "Confirmation" Groups once you download the app to sign up to get these notifications.